Outfit your work truck with everything you need to get the job done. We provide you with a 3D layout for complicated builds. 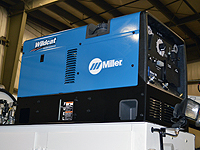 Welders: We stock a variety of welders including the Miller 250 amp gas. 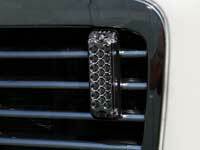 These can be mounted inside the bed with a welder cut out, on top of the side packs or with a welder deck. 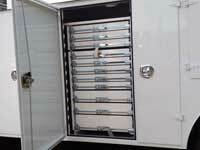 Toolboxes: We carry several different size toolboxes to fit any cabinet on any Dominator. 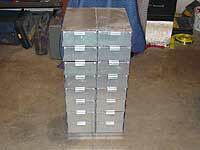 The most popular is a 41” drawer set with 250 lb slides (shown). View Toolbox Options. 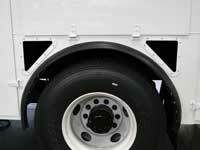 Backup Camera: Rugged backup camera and sensors built for the jobsite. You can get a color LCD display mounted in the cab or incorporated into the rear view mirror. 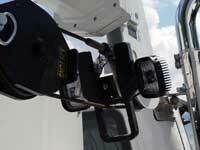 More on Backup Cameras. 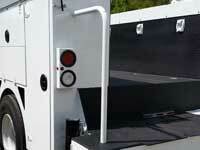 Bolt Bins: The most popular sizes are 16 and 18 bins but can be configured to fit any Dominator cabinet. The bins are angled slightly downward keeping everything organized even in rough terrain. 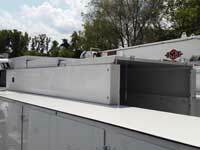 Bed Liner: We spray bedliner in house. Protect your work areas with a rugged Sherwin Williams polyurea. 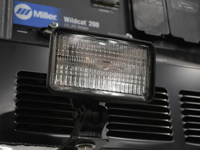 Work Lights: We carry a variety of halogen and LED worklights that can be placed around the truck to light your work area and load space. 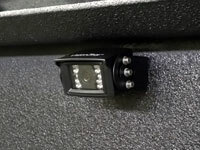 LED Compartment Lights: LED lights in your compartments fit out of the way in the corners of your cabinet and help you find the tools and parts you need in pitch black conditions. Vice: Wilton, American Made Vices. 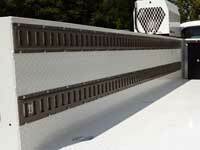 Telescopic Top: Keep snow, leaves, and strangers out of your load space. 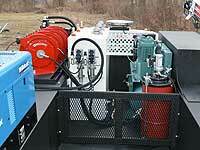 Lube Systems: Customized for your application. Perfect for quick top offs and light PM work. 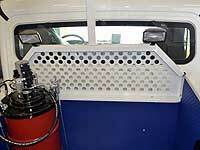 Headache Rack: Protect your cab. Boom Tip Lights: Illuminate your pick with high intensity LEDs. Masterlock: Quickly lock your toolboxes. 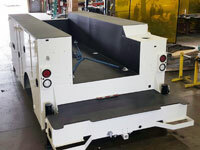 ETrack: Secure any kind of load, conveniently. 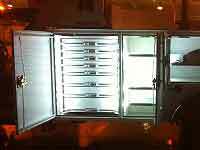 Strobe Lights: Make sure you can be seen on the job site with LED strobe lights. Available in clear or amber. 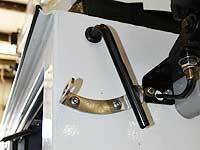 Handrail: Make getting in and out of your service truck easier and keep 3 points of contact with a handrail. 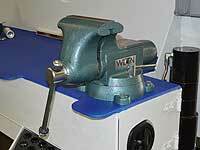 Wheel Chocks: Keep your wheel chocks right where you need them.